In a horrifying incident, a 40-year-old woman suffered server head injuries after her saree got stuck in a carriage door of a Delhi Metro train on Tuesday. The mishap occurred when the train was about to leave the station, due to which she was dragged on the platform. 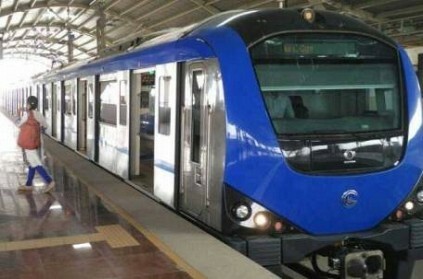 The woman has been identified as Gita, who was travelling with her daughter when the incident took place at the Moti Nagar metro station on the Blue Line. According to NDTV, the victim's husband Jagdish Prasad said, "Gita and my daughter were travelling from Nawada. They got off at the Moti Nagar station when the 'pallu' (mundhani) of Gita's saree got stuck while the door was closing. As a result, she got dragged for some distance on the platform". "I got a call from my daughter who told me about the incident. Apparently, one of the commuters had pressed the emergency button to alert the driver for stopping the train. Gita, suffered injures on her head and was rushed to a nearby hospital," the worried husband added. Meanwhile, a senior Delhi Metro Rail Corporation (DMRC) official confirmed about the incident taking place at the Moti Nagar station. By taking to social media, the DMRC informed that after the incident the services were briefly affected between the Moti Nagar and Rajendra Place stations. திடீரென பிளந்து, பெண்ணை உள்ளிழுத்துக்கொண்ட நடைபாதை: அதிர்ச்சி வீடியோ! This page contains news relating to various facts and events. The views are generally about current affiars and general topics in diversified areas such as political, international, national, and regional issues, sports, health, travel, lifestyle, technology and business. People having similar interets on the above topics will find this page useful. Delhi Woman Dragged On Platform As Saree Gets Stuck In Metro Door | India News.